Antalya has become the new favorite destination for Indian couples seeking to tie the knot, where millions of dollars are spent on wedding ceremonies. This year, Antalya will host 10 weddings with a budget ranging from $200,000 to over $10 million and 12 such weddings have already been held to date. A significant majority of the weddings of India's billionaires and wealthiest families are being held abroad with Turkey being a very new market for India in terms of wedding tourism. In particiular, Antalya attracts the attention of Indian families for its stunning scenery, historic aspects, five-star hotels and warm climate. The first Indian wedding in Antalya was organized by Inventum Mice at the Mardan Palace Hotel, which was selected as the world's most luxurious hotel in 2012. After the wedding, organized with 600 guests and costing over $1 million, a total of 12 events, including birthday celebrations and wedding anniversaries, have been held in Antalya so far. Aslı Akar, an associate of Inventum Mice, stated that Indian wedding organizers and agencies had not known about Antalya, and that they therefore showed the hotels and nature of the city in 2012 to their guests, adding that Antalya has not even got a 1 percent share of nearly 2,000 wedding events organized annually, with total a cost of $20 billion. Indicating that Indian billionaires can spend anywhere from $200,000 or over $10 million on their wedding events, Asil Akar said, "There is no limit in this regard. 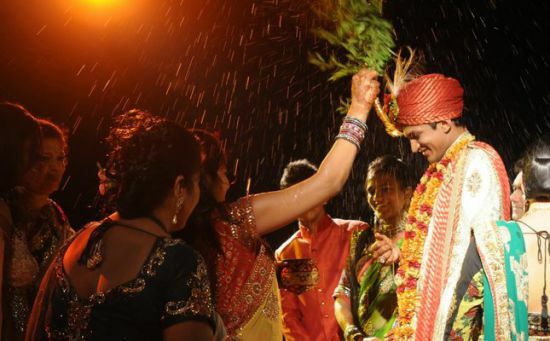 Indian weddings held abroad usually last three-to-four days. The incoming families love to give gold jewelry like Turks. Indeed, it is rumored that the world's gold market is determined by Indian weddings." Noting that marriage is the most important event for Indians in their lives, Akar said that this is why they try to do the best they can to make weddings truly great. "For example, there was a wedding organized by the Gupta family with a price tag of over $10 million. But there are so many rich families in India that they can spend upwards of $50 to $60 million," Akar said, recalling that one family even gave gold-plated iPads for invitations to what reportedly was the most expensive wedding ever organized. Akar said that 120 people from the biggest wedding companies and agencies of the sector, which make the best of this business in India, will be staying in Antalya between May 28 and June 1. "We will talk about what can be done by organizing workshops. They have come to Turkey before and they prefer this country and love it." Within the scope of the program, Indian organizers will be accommodated in Belek, and taken on city and yacht tours. Mutual talks will also be held with the tourism sector in Antalya, in addition to historical tours in Perge and Aspendos. Pointing out that Indian weddings are usually held between the months of November and April, Akar said, "This is an advantage for us. Hotels experience their slowest season during this period so they can offer affordable prices and weddings can be organized more freely." Noting that there are six to seven firms that want to hold their weddings in Antalya, Akar said that the issue of organizing Indian weddings in Turkey was also discussed during President Recep Tayyip Erdoğan's visit to India, adding that they are planning to have about 10 weddings during this season. Explaining the customs of Indian weddings, Akar said that Indian traditions are the exact opposite of Turkish customs. Adding that the bride's side spends more money, Akar recalled that this custom used to be more effective in the past but now the families want to share the budget a bit more. 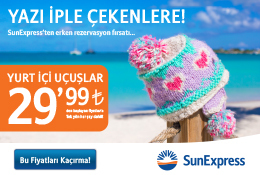 "While traveling to Antalya or other countries, guests receive their own airline tickets. The rich families rent the entire plane. Everyone gives gold jewelry just like we do," Akar said. "There is also an issue of groom price especially paid by the bride's side. The price can go up to very high figures. During one of the weddings held here, about $12 million was paid as the groom dowry." Akar said that in addition to wedding tourism, India can be a very important market for Antalya and Turkey in terms of other areas of tourism, noting that 60 million people have passports and 18 million people travel annually. Recalling the number of Indian tourists that came to Turkey last year at roughly 200,000, Akar said, "The flight to Antalya is five and a half hours. This is not a long distance from India. Turkish Airlines (THY), Atlas and SunExpress are also scheduled to fly directly from India to Antalya following the president's visit. If this happens, the Indian market will boom. India may become the second Russia for Antalya."